Finished in a calming light pink, this twin headboard offers a fun way to bring color to the bedroom. 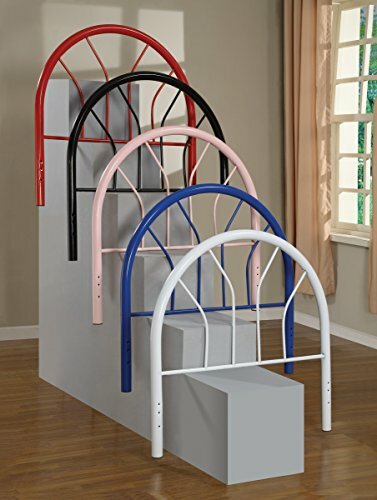 Sturdy metal construction and a durable finish allow this piece to stand up to years of use -- even in an energetic child?s bedroom. Installation is easy thanks to three pre-drilled holes at the bottom of each leg. If you have any questions about this product by Coaster Home, contact us by completing and submitting the form below. If you are looking for a specif part number, please include it with your message.